Search Results for "verrazano bridge"
A unique high angle time lapse view of Lower Manhattan and Battery Park with Governors Island and the Verrazano-Narrows Bridge in the distance. 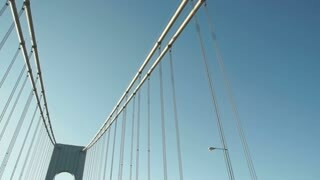 An establishing shot of a silhouetted Verrazano Bridge. The Verrazano Bridge connects New York's Boroughs of Brooklyn and Staten Island. Shot during the summer of 2016 in 4k. 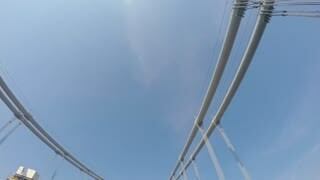 Verrazano Narrows Bridge: A timelapse recording of the Verrazano Narrows Bridge taken from a ship departing New York City on the Hudson River. The bridge connects the Staten Island and Brooklyn. 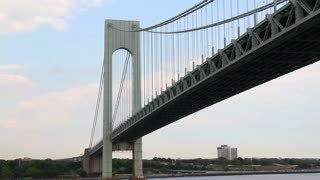 An establishing shot of New York City's Verrazano Bridge. The Bridge connects New York City's Boroughs of Brooklyn and Staten Island. Shot during a summer 2016 sunset in 4k. 1970s: Politician speaks into microphone. Two tugboats guide tube under the Verrazano Bridge. Helicopter flies above bridge. Aerial view of the south side of Manhattan New York City financial district Freedom Tower apartments and buildings, midtown, hudson river, statue of liberty and Verrazano Bridge. An establishing shot of New York City's Verrazano Bridge at dusk. Shot during the summer of 2016 in 4k. Traffic passes in front with the bridge in the background.